Usually, the spots on a giraffe's fur are meant to camouflage it from predators in the wild. But it seems these giraffes actually want to be noticed! 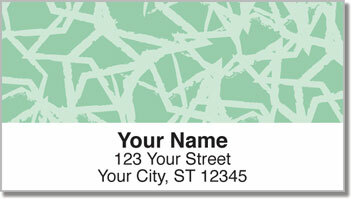 You'll love the colorful animal print featured on these fun return address labels! Look closely, and you'll notice that the design was actually created using a pattern of overlapping stars. 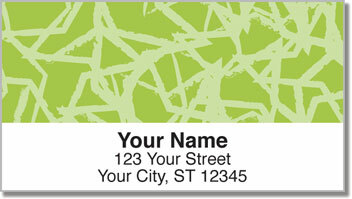 Giraffe Print Address Labels will give your outgoing mail a unique look while saving you a ton of time! Forget about the tedious task of writing out your name and address on every envelope. Just peel and place these colorful labels on anything you stick in the mailbox! 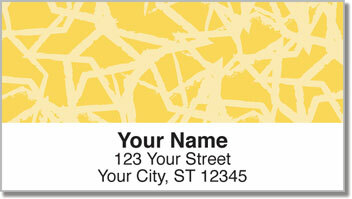 Order your very own Giraffe Print Address Labels now! Don't forget to add matching personal checks!